Last week I responded to a reader request and listed out my Top 5 literary adaptations. While I am sure that no one was shocked by the revelations that the post entailed, I hope that it was at least a little informative. There was, however, some purposeful negligence on my part. One of my major obsessions is rooting out brilliant Shakespeare productions. Since these are not strictly ‘adaptations’ in the sense intended by my wonderful reader’s request, I decided to leave my favourites Shakespearean productions out of the list. The pain inspired by this neglect was tremendous. And in order to ensure that I could continue to sleep at night, I decided that I would need to devote a post exclusively to a Bardean bonanza. Here, then, are my 5 favourite Shakespearean screen productions. Starring – Ian McKellen, Jim Broadbent, Maggie Smith, Dominic West, Robert Downey Jr.
A star-studded lineup that should serve as some indication of this production’s calibre. The film takes one of Shakespeare’s great histories and transplants it to a fictionalised, fascistic 1930s Britain. I am a big fan of Shakespearean adaptations that abstract from the original setting – if done well, they have the capacity to deliver an interpretation that casts the plays in a new light. They give an unexplored power to the works and serve as fundamental proof of the continued relevance held by Shakespeare’s plays. 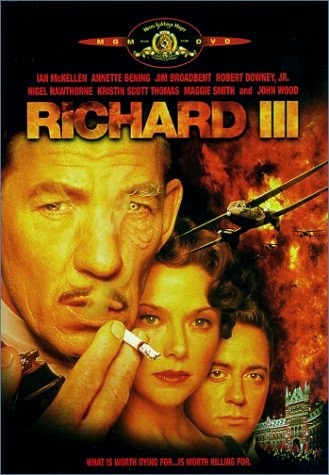 This 1995 production of Richard III is irrefutable proof of the capacity of Shakespearean screen adaptations to deliver a shiver down the spine. I am aware that in picking this particular adaptation, I am walking the path of controversy. 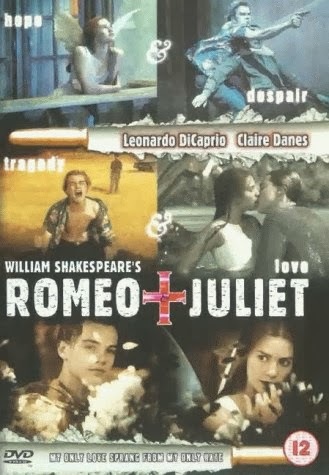 To many Shakespearean purists, Baz Luhrmann’s screen production represents a step too far in relocating the plays to alternative settings. The film is set in the modern-day location of Verona Beach, a world of business-motivated mob violence. While the adaptation is undoubtedly unorthodox and, I would argue, does not cast the play in a new light, it effectively highlights the notions of thwarted love and cyclical violence that stand at the heart of the work. With Leo DiCaprio and Claire Danes in the leading roles, the play is given life. Also featuring the world’s most fantastic Mercutio. As part of the UK’s 2012 Cultural Olympiad, intended to coincide with the hosting of the Olympics, the BBC adapted 4 of Shakespeare’s history plays. Richard II was the first to air, headed by the fantastic Ben Whishaw. 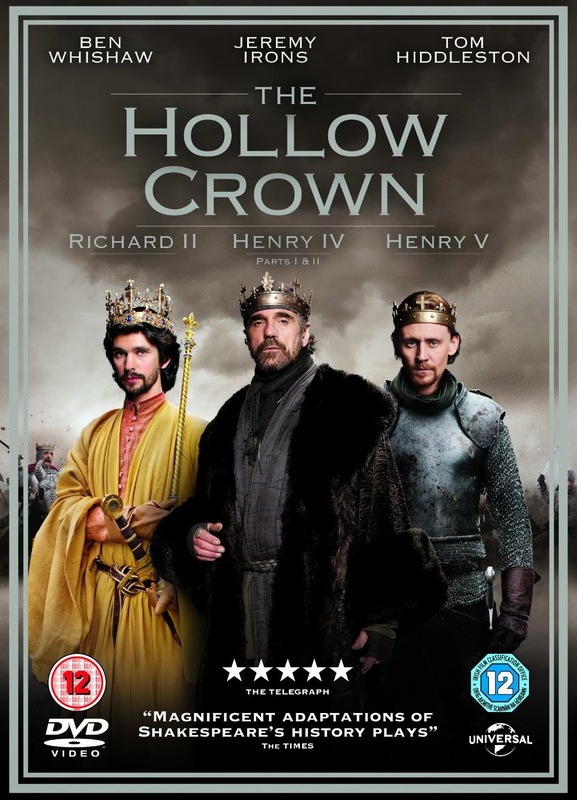 Unlike many contemporary screen productions, the BBC’s The Hollow Crown series places the plays within their intended settings. True to form, Richard II is fantastically well cast and expertly executed, with the added bonus of featuring a whole heap of beautiful British scenery. Undoubtedly a long one, but well worth the time commitment. In actuality, Henry IV Parts I and II of The Hollow Crown series were broadcast as separate entities. For continuity, however, I thought that I could get away with featuring them both in the number 2 spot. The merits of these productions parallel those listed above for Richard II – a fabulous setting and brilliant casting. It is Tom Hiddleston’s portrayal as Prince Hal (and, subsequently, King Henry V) that really distinguishes this adaptation as one of the best. Truly, truly spectacular. 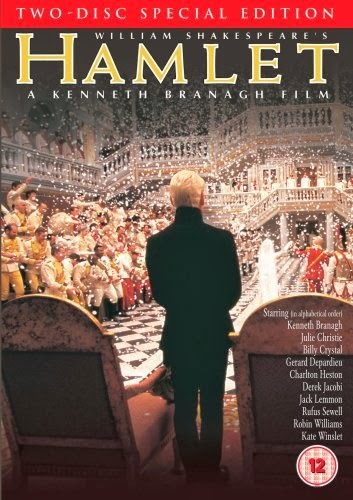 In my eyes, Kenneth Branagh can do no wrong. But it is this production of Hamlet in which he most fully excels. Both directing and taking the title role, Branagh plays the second best Hamlet that I have seen to date (beaten only by Michael Sheen in the Young Vic’s 2011/2012 staging). Using the beautiful Blenheim Palace as the setting for Elsinore Castle, Branagh’s adaptation is set in the late 19th century and features a stellar cast. This screen production is spot-on in every respect, but it truly is Branagh’s portrayal of the conflicted Prince that earns this adaptation the top spot. Where's Much Ado About Nothing? The Branagh version was one of my all time favourite films as a kid and now it's been redone by my geek hero, Joss Whedon! I've not seen it! And I LOVE Joss Whedon. So this is quite an oversight. It's going top of my 'To Watch' list right now. Thanks for the tip!